Not to be missed. Any profits go towards the work of the Centre and to help St John’s Sunshine put more solar panels on the roof of St John’s Church. Charity raffle and refreshments available on the night so bring some extra pennies! 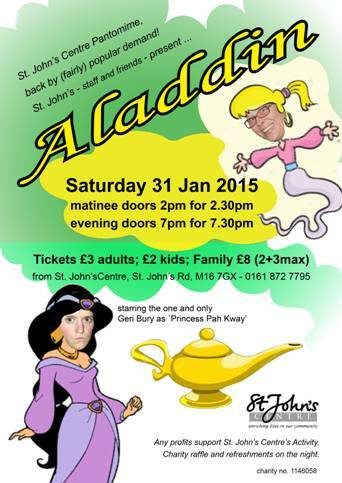 Tickets available from St. John’s Centre, St John’s Road, Old Trafford. M16 7GX.